I would point out that the figure standing on top of the stone is missing a hand. An earlier photo I had seen shows the hand which was holding something. But that has either been broken off by vandels or had fallen off due to age. 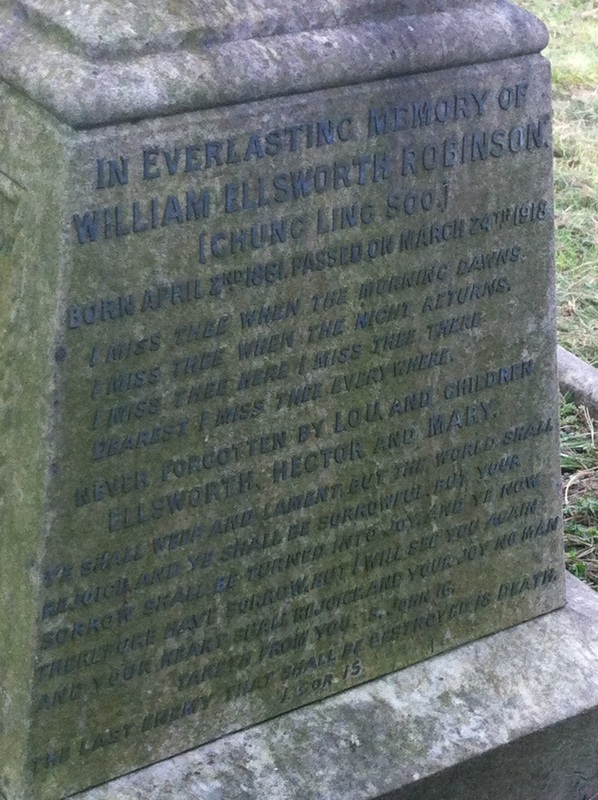 Of course, Chung Ling Soo was none other than American born William Ellsworth Robinson. One of the most knowledgable men on the subject of magic while he was alive. He worked for The Great Alexander Herrmann and also Harry Kellar. Eventually, he went out on his own and he found success with an Chinese character he called 'Chung Ling Soo'.